Yesterday (10/14/14) saw the release of another new Southern Gospel album; the Kingsmen’s Battle Cry. This is the first album of new music for the Kingsmen since 2011’s Grace Says. This is also the second album from the Kingsmen to feature the current vocal line-up; Chris Jenkins (tenor), Bob Sellers (lead), Randy Crawford (baritone) and Ray Dean Reese (bass). I have been anticipating the release of this album since hearing several of the songs performed during NQC 2014. 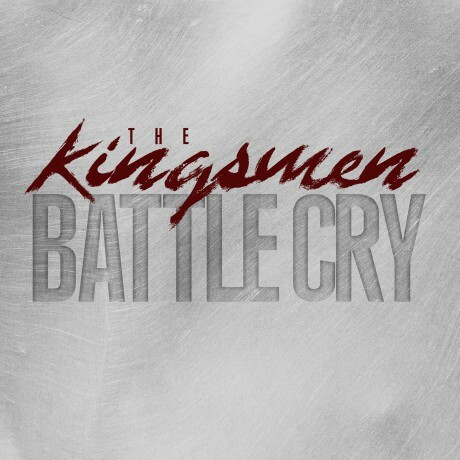 Battle Cry has a lot for traditional Southern Gospel quartet listeners and longtime fans of the Kingsmen will absolutely love the classic Kingsmen moments captured on this new effort. Speaking of classic Kingsmen sounds, no other song captures that more than “Oh Yes I Am”. The current radio single features tenor Chris Jenkins and he performs in true Kingsmen tenor fashion on this song. From beginning to end this song is one of my favorite recorded this year. A must listen! An elder statesmen in Southern Gospel music, Ray Dean Reese proves he still has the vocal talent to perform another of the album’s stand out tracks; “I Know”. This Ila Knight composition is classic Southern Gospel at its finest. Another song that reminded me of the Kingsmen of the 1980’s. This has to be a single. The up-tempo songs on Battle Cry are right out of the Kingsmen playbook of yesteryear. The album kicks of with the title track (classic Kingsmen) and if that is not enough you get the same up-tempo treatment on “Beautiful City” and “Come And Dine”. If you’re a fan of the progressive Southern Gospel ballad, you will enjoy the Randy Crawford feature, “It Should Have Rained”. It is nice to hear the Kingsmen tackle a song that would fit in to Brian Free & Assurance’s repertoire. They do a great job. Lead vocalist Bob Sellers gets his chance to shine on the song, “Faith”. Another progressive style ballad that may have you hitting repeat before moving on to the rest of the album. When you choose songs from the list of songwriters found on Battle Cry, an artist is almost guaranteed a power house recording. The Kingsmen make the most of the songs they chose. This may be the best selection of songs the Kingsmen have chosen for an album in over a decade. Strongest songs included in order: “Oh Yes I Am”, “I Know”, “Battle Cry”, “It Should Have Rained”, “Come And Dine”, “I’ve Never Seen The Righteous Forsaken” and “Faith”. I tried to come up with one critique of this album but couldn’t find one. There really is no filler song on this entire album. A rarity for sure. Weakest songs included in order: “He Took Away My Burden”. This song really isn’t weak it just so happens to be the lowest ranked of the eleven songs on the recording. I believe the Kingsmen may have just released the best Southern Gospel quartet album of 2014. I don’t see any other quartet album coming out before the end of the year to change that. If you have been a long time listener of the Kingsmen you will absolutely love Battle Cry. If you are a casual listener of the Kingsmen, this is the one album (of the last several years) in the group’s discography you will want to own. What I enjoyed most about Battle Cry was the classic Kingsmen treatment given to most of the album. I will be listening to this album for many months to come! At first I wondered how The Kingsmen could get a higher grade than the GVB, so I listened. You are totally right. What a great album. I LOVE I’ve Never Seen The Righteous Forsaken–especially what the tenor does at the end. He Took Away My Burden is one of my favorites. It Should Have Rained is a great song. The only things that bother me are the fake strings so prevalent on Crossroads recordings especially on Battle Cry. It’s not bad on some of the songs. And I’m not sure about that last chord on Here I Stand Amazed especially ending the recording that way. But those few things aside, the recording made me love the Kingsmen again and made me crave traditional SG again! I love this entire recording. The song selection is great, the arrangements are spot on, and the Kingsmen have never sounded better.